Kyle “te Kiwi” Mulinder is behind Bare Kiwi, one of the top New Zealand travel blog, chronicling his adventures around New Zealand and Australia. He regularly visits Kaikoura and wrote a piece about his adventures here. He is the author of the viral video: A seal slapped me in the face with an octopus! … What’s your favorite things to do in Kaikoura in the fall? Dolphin swimming is my favorite thing to do in Kaikoura. I also love seating back and let Kaikoura do its magic. … What’s your favorite food to eat when visiting Kaikoura? There is a lovely Thai restaurant in Kaikoura which I like a lot when visiting Kaikoura. … What’s your favorite photography spot in Kaikoura? That’s a hard one! There is a lot going on in Kaikoura! I think the lookout is my favorite. I love chilling out up there. … What’s your favorite NZ photographer or blogger? It has to be Shaun Jeffers. Check out his work! I have several but the first one is when the Kaikoura local tribe gave my a piece of pounamu a greenstone that I wear. Another one is when a seal slapped me in the face by an octopus! I was testing a new camera with Kaikoura Kayaks. The video went viral globally! Thank you so much Kyle for sharing. You can follow his adventures on Instagram and YouTube. A few weeks ago, an abandoned baby deer was rescued by Alastair, our farm manager. Alastair and his grandchildren are now raising the fawn on a bottle, as a result she has become very friendly toward humans. The grandchildren have named her Rosie. When Rosie gets a little older, we will find her a home paddock near the Lodge so guests can visit with Rosie. Hapuku Lodge is the only New Zealand property to be in the prestigious Air France Gold List for 2017! We hosted the lunch for the Governor-General, Sir Peter Cosgrove, and his wife, Lady Cosgrove, and fifteen Australian officials who accompanied Sir Peter, as well as fifteen local residents and officials from Kaikoura. We took this opportunity to introduce these important guests to our local seafood and the locally sourced venison. They loved it. And we had a great time. Sir Peter was visiting Kaikoura with the attendant Australian officials to thank the town for having looked after all the Australians who were stranded and otherwise affected by the earthquake last November 14, 2016. At the time, the town was landlocked, without power, water and adequate sewage facilities, leaving the many visitors stranded. The Township did its best to look after everyone and it is the effort and graciousness of Kaikourians that the Governor-General came to honour. We were lucky that our Lodge and Tree House structures came through the huge “Kaikoura Earthquake” of November 14, 2016, relatively unscathed – plaster cracks, broken bottles, and the loss of a lot of sleep. With respect to other aspects of our environment we were not as lucky and for the balance of our summer season, which in our southern hemisphere runs from September through March, we were challenged by the significant damage all along the coast. The worst issue from our point of view was the massive landslides along Highway One that smothered the road in hundreds of tons of boulders, trees and dirt. Highway One runs from Picton (the receiving port for the Wellington ferry) and Blenheim (the nearest airport of size) in the north through Kaikoura to Christchurch in the south. The Highway is the Lodge’s primary artery for supplies and guest arrivals. It is essentially the only way into and out of Kaikoura. There is an alternative, longer route from Christchurch to Kaikoura, the Inland Road, that was less damaged by the quake than Highway One, and which was restored relatively quickly. From mid-January Highway One to the south, from Kaikoura to Christchurch, has been open on a restricted basis - but the route to the north is still closed. The restoration of the Highway is requiring a huge and expensive outlay of money and effort, involving hundreds of workers and innumerable pieces of heavy equipment (even helicopters and ships) working 10 hous a day, 7 days a week. This is particularly true for the northern route. There the landslides and rebuilding of the road are being attacked from both the north and the south simultaneously. The NZ government has announced that “ no matter what” the road will be fully open by December 2017, an announcement that we take to be a promise. The staging area for the northern restoration effort is being carried on right around the corner from the Lodge, so we are able to monitor daily the progress being made by the hundreds of men & women from the recovery crews. Considering the scale of the job the progress is quite remarkable. Over half a million cubic tons of debris has to be removed from the roadway and disposed of in an environmentally safe way. The largest load a dump or tip truck can only carry is 3 cubic tons, so we can only imagine the number of trips involved - at times it seems to us to be a Sisyphean effort - but we are confident that the workers will prevail. We watch in amazement. The larger Kaikoura environs were also affected in significant ways by the quake: major uplifting and subsidence of land, the ocean floor, including that of the local harbour, altered in significant and not yet fully understood ways, and the disruption of a large number of bird and ocean colonies. Repair of Kaikoura harbour’s infrastructure is well under way, allowing the local oceanic tours, Whale Watch, Dolphin Encounter and Kaikoura Kayaks, to regroup and get back to business. Full operation of the harbour is expected well before the opening of the 2017-18 summer season. We are also getting good news about the recovery and regrouping of the local seal colonies. The Ohau seal colony to the north of Hapuku is adjusting extremely well, with a number of new seal pup nursery pools evident only a few miles north of their previous long term nurseries. This good news coupled with the recent multiple sightings of Orca, Humpback, and Sperm whales and the daily sighting of hundreds of Dolphins leads us to believe that Kaikoura is on the road to a full recovery. If you are thinking about coming to Kaikoura this next summer, please rest assured that the town will be ready to welcome you with open arms, as will we. We want to give a special shout out and thank you to all those guests that joined us this past summer in spite of all the obstacles, and we hope that they found the shifting landscape and the earthworks as interesting as we do. Each year it is a beautiful sight to see Hutton’s shearwaters, sea birds native and unique to Kaikoura and severely endangered, shear (hence their name) across the ocean to feed before returning to their nesting grounds in the Seaward Kaikoura Mountain Range. To protect their nests from predators, such as wild pigs and rodents, Hutton's shearwaters locate their nesting burrows on the steepest slopes of the mountain range at altitudes of 1200 to 1800 meters. Unfortunately, last year this practice exposed the birds to another danger - rock slides caused by the huge 14 November Kaikoura earthquake. Viewings from helicopters shortly after the earthquake indicated that at least 30% of the nesting burrows, and with them the resident birds and their chicks, of the only two natural colonies in existence, had been destroyed by landslides. To find out more it was necessary to undertake "burrow scoping " - humans on hands and knees examining each nest. The fuller examination of the damage to the colonies had to wait until this month, April, the beginning of New Zealand's winter, to give the birds time to leave their nests and undertake their annual migration north to Australia's warmer waters. We now have a better picture of what happened as result of the earthquake. Unfortunately, the news is not good. It appears that up to another 20% of the burrows/nest were destroyed and the chicks that they were intend to nurture perished. The best estimates are that the population of chicks has been reduced to 50% of normal, at best. In the 1960s there were 8 large nesting colonies of shearwaters in Kaikoura. Today there are two. And now, thanks to the earthquake, the two are threatened. The Hutton's Shearwater Charitable Trust was established in 2008 to protect and encourage the breeding of Hutton's shearwaters. For this purpose the Trust has established an "artificial" breeding colony of burrows on the Kaikoura Peninsula. The Peninsula colony came through the earthquake in much better condition than the two mountain colonies, and will now be crucial to the efforts to increase and re-establish the population over the next few years. We urge you to support the The Hutton's Shearwater Charitable Trust as it continues its fantastic work to assure the survival and propagation of this unique and beautiful bird. Please help these birds survive by purchasing one of the Trust's products or by making a donation to The Hutton's Shearwater Charitable Trust. Hapuku Lodge + Tree Houses has reopened and has been welcoming guests since early December 2016. Please refer to the NZ Transport Authority website for the latest information. Flights on the Kaikoura-Blenheim route have been extended through until the end of February! The Christchurch-Kaikoura flights will be ending on the 27th January. Private Helicopter & Charter fixed wing plane options are also available and we continue to offer travel subsidies for those travelling by Air to Kaikoura. The garden is bursting with Summer vegetables, the hot house overflowing with tomatoes, the Pohutukawa is flowering and the birds are in abundance. During the day many of our guests are out Whale Watching by boat or by air, swimming with Dolphins, Seals or even Kayaking around the inlets of Kaikoura; returning in the evening for a glass of Marlborough Sauvignon Blanc and fresh produce from the garden, farm and sea for dinner. It is a busy time in Kaikoura and at the Lodge and it is a time where we invite many visitors who are staying in Kaikoura to come and have dinner at the Lodge. Available all year round we offer the opportunity to dine in our restaurant for a set price of $100 including gst per person. This is a set three course meal with usually three choices per course & a chefs surprise to start. Call one of our team today on 03 319 6559 or book a table online. Gift vouchers - ideal for those last minute presents! Are you still searching for the ultimate Christmas gift? We have gift vouchers available; including Accommodation, Dining and Spa vouchers. Treat your family member, friend or colleague to a relaxing break, or an adrenalin pumping adventure on the Kaikoura Coast! Following the 7.8 earthquake last November 14th, help us spread the word that we have reopened and ready to host guests again! Contact us to buy vouchers. Kaikoura was hit by a severe earthquake on the 14th November 2016. Our buildings are designed to a high specification and suffered no structural damage – New Zealand’s building codes are among the world’s best. We are delighted to announce that we have reopened and look to welcome guests in the next few days. We have been so heartened by the support of our guests who planned to stay, the travel industry partners, our friends and supporters. We are also inspired by the fortitude of the Kaikoura township our local townspeople and those support services who have and continue to put in many hours of support. Road access to Kaikoura continues to be impacted with the inland road route now open for scheduled journeys. Please refer to the NZ Transport Authority website for further details. There is also very positive news that the main state highway south of Kaikoura (SH1) is likely to be opened before the 20th December. Thanks to many of our good friends and partners we have put together special rates for transfers between various locations. We are pleased to add road transfer options now to this offering. - Transfers by Fixed Wing will be to the Kaikoura airport & Hapuku Lodge will provide complimentary transfers between Kaikoura Airport and also between the Lodge and township during the clients stay. - Transfer available either one way or return from Christchurch or Blenheim. Hapuku Lodge will provide complimentary transfers during the clients stay. Hapuku Lodge recognises that with the roading challenges, getting to and from the Lodge for the interim period, has become difficult. In order to assist clients to come to Kaikoura and Hapuku Lodge we are offering an air transport subsidy of $250 incl GST per night of their stay. For example a 2 night stay in 1 room would = a $500 incl GST subsidy in total. This will be credited to your bill at the end of your stay. Our Transfer subsidy assistance will remain in place until the 30th April 2017. 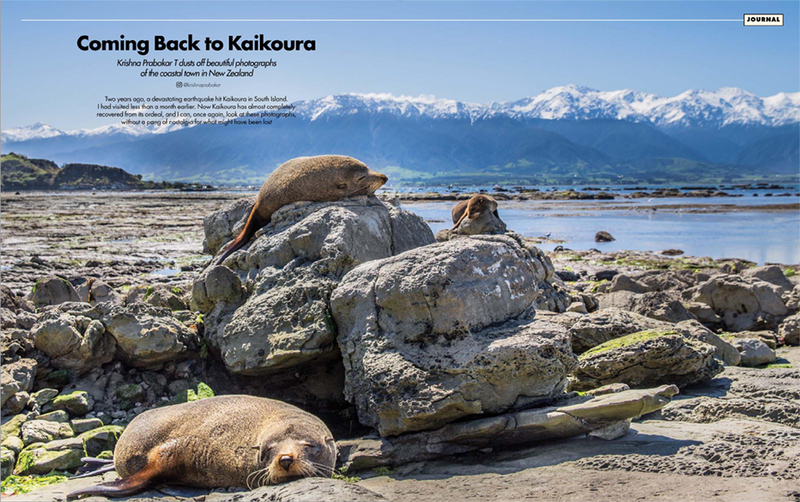 Kaikoura remains one of the world’s top marine destinations and needs your support over the coming months to ensure we can continue to share our beautiful destination. Please contact these companies directly quoting “Hapuku Transfer Rate”. As I am sure you all know Kaikoura was hit by a severe earthquake on the 14th November 2016. Our buildings are designed to a high specification and suffered no structural damage – New Zealand’s building codes are among the world’s best. At this stage we continue to be on track to reopen on the 1st December 2016. Road access to Kaikoura is severely impacted with the inland road route yet to open at the time of writing this release. We understand from authorities that subject to any future disruption this should be open in the next few days. Thanks to many of our good friends and partners we have put together special rates for transfers between various locations. Transfers by Helicopter will be direct to the lodge & complimentary transfers will be provided for those flying by fixed wing from the Kaikoura Airport to Hapuku. 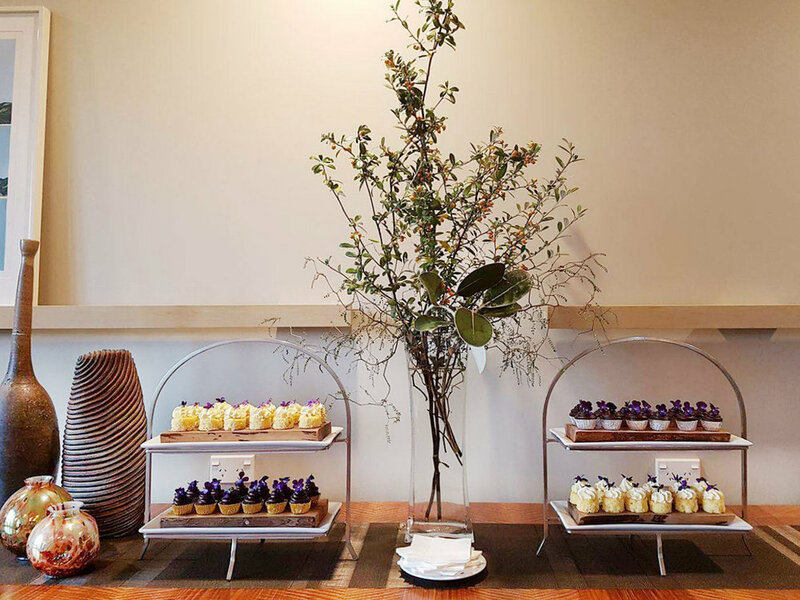 Complimentary transfers will be provided during the clients stay at Hapuku. Hapuku Lodge recognises that with the roading challenges, getting to and from the Lodge for the interim period, has become difficult. In order to assist clients to come to Kaikoura and Hapuku Lodge we are offering a air transport subsidy of $250 incl GST per night of their stay. For example a 2 night stay in 1 room would = a $500 incl GST subsidy in total. This will be credited to your bill at the end of your stay. An official update for you from Tony, Chris, Fiona and the Team at Hapuku Lodge + Tree Houses. At a little after midnight on the 14th November the Kaikoura area experienced a severe earthquake. All guests and staff of Hapuku Lodge + Tree Houses, located just north of Kaikoura, are safe and well. Our buildings are designed to a high specification and suffered no structural damage – New Zealand’s building codes are among the world’s best. Thank you to all the support we have received from the tourism industry, our partners and suppliers. Please note that media reports both domestic and international are not always factual and may not represent the reality of what is occurring on the ground. Kaikoura whilst hit hard is already recovering and business operators are positive about the year ahead. Kaikoura remains one of the world’s top marine destinations and needs your support over the coming months to ensure we can share our beautiful destination. We will continue to keep you informed of progress. In the meantime please use Kerryn Ralston as the contact for all bookings etc. Kaikoura experienced a 7.8 magnitude earthquake on November 14, 2016. All staff and guests at Hapuku Lodge are safe and well. Most of the communications are down. For guests intending on coming to Hapuku Lodge in the next few days please contact your travel agent to arrange alternative accommodation. The property is not badly damaged and we will be up and running very soon. As the season begins to change, the days get longer and the first spring bulbs start to flourish, we wake up to the warmth of the new season filtering in through open windows. Spring also signals the time where Kaikoura comes fully to life with the local festivals and return of the Huttons Shearwater birds that perch in the Kaikoura mountains. They spend their time in the mountains which is only a short flight to the waters edge where the Hutton's shearwaters can exploit this marine supermarket regularly. Fiona our Executive Chef considers Spring her best season as all the fresh produce that starts to appear in the garden and our continuing supply of local Kaikoura seafood. Why not getaway for a weekend at Hapuku Lodge + Tree Houses with our Celebration Package which includes two nights in a tree house, dinner both evenings, bottle of French champagne on arrival, a picnic basket to explore the surrounding area & complimentary minibar. All for the price of $2870. Please note: Direct bookings only. Prices include GST. After such a wonderful warm summer it is quite welcoming to see the leaves turn a warming color of Auburn and fall to the ground. Autumn at Hapuku is such an enjoyable time of the year, as the temperature drops fires are lit in the evening, the air is sweet with the smell of burning manuka and the unmistaken sound of the Stags can be heard as they begin to roar heading into the mating season. This is certainly the sound of Autmun with the first light dusting of snow on the mountains and sound of the wind as it whips over the mountains as they come to life. 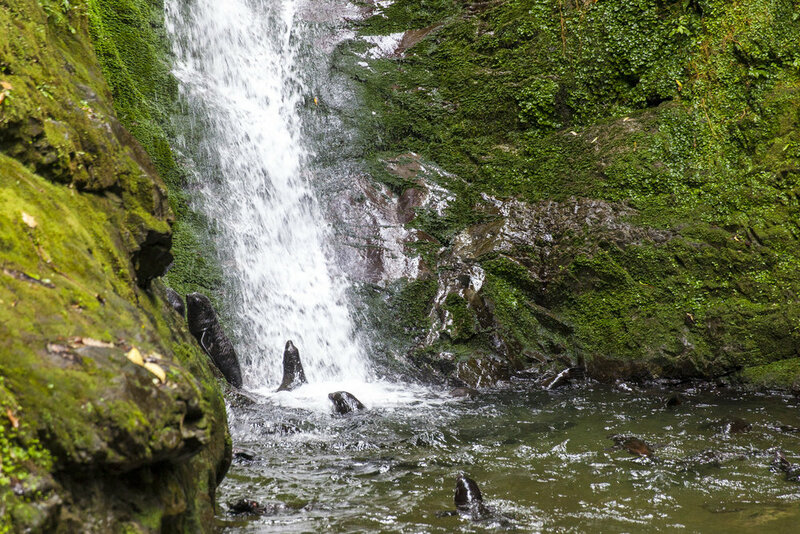 Kids can stay for free during May & June at Hapuku Lodge to visit the local seal pups. A family night stay at Hapuku Lodge & Tree Houses includes a two story Family Tree House including a three course dinner, a full Hapuku breakfast, complimentary minibar & treats for the kids. All for the price of $1171 including GST.